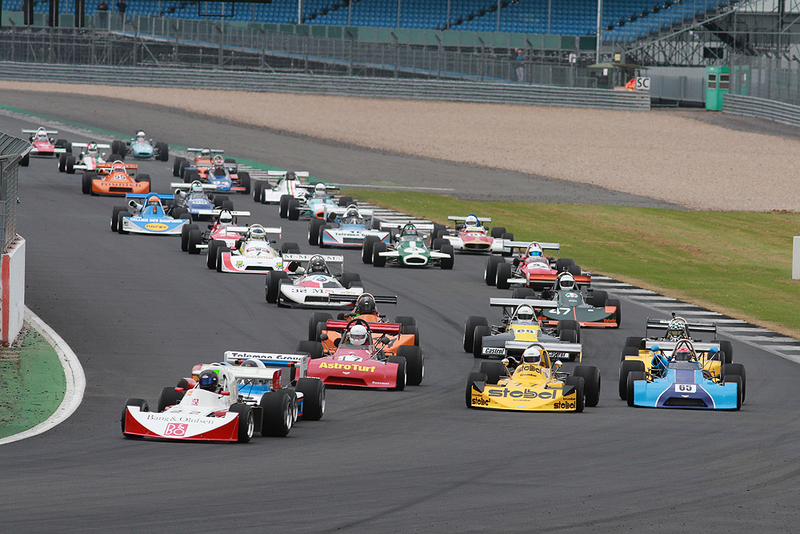 The Historic Formula 2 International Series is open to single seater racing cars built to the appropriate Formula 2, Formula B and Formula Atlantic regulations between 1st January 1967 and 31st December 1978, running to their original specification and using components of a type used in period. A valid FIA Historic Technical Passport (HTP) must be presented. The series is divided into four classes and there will be five individual class winners but no Overall series winner. Class A Jochen Rindt Trophy: Cars built with engines conforming to original Formula 2 specification with either fuel injection or carburettors manufactured and raced before 1st January1972 with a maximum capacity of 1600cc and with aerodynamic devices. Class B Vern Schuppan Trophy: Cars built with engines conforming to an original Formula Atlantic or Formula B specification of no more than 1600CC manufactured and raced before 31st December 1975. Class C Gilles Villeneuve Trophy: Cars with engines conforming to an original Formula Atlantic or Formula B specification of no more than 1600cc manufactured and raced between 1st January 1976 and 31st December 1978 but excluding ground effect cars. Class D Bruno Giacomelli Trophy: Cars with engines conforming to original Formula 2 specification built and raced between 1st January 1972 and 31st December 1978 with a maximum capacity of 2000cc but excluding ground effect cars. Class E Jim Clark Trophy: Cars built to conform to either Formula 2 or Formula Atlantic or Formula B regulations but without aerodynamic devices manufactured and raced after 1st January 1967.